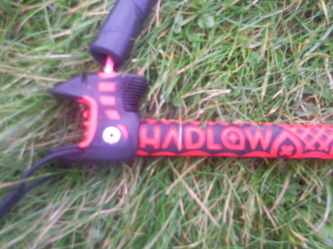 I'd been looking forward to getting hold of the Hadlow ID for some quality time ever since it was announced. 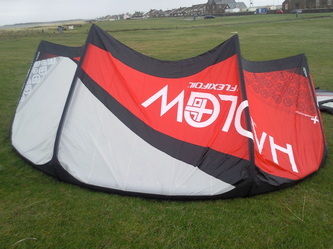 I'd had a very quick fly on an early prototype in 7mph of winds at a BKSA event, and again in 30mph on some mismatched lines from another manufacturer. Both encounters had left me looking forward to getting some serious time out on the water with it. 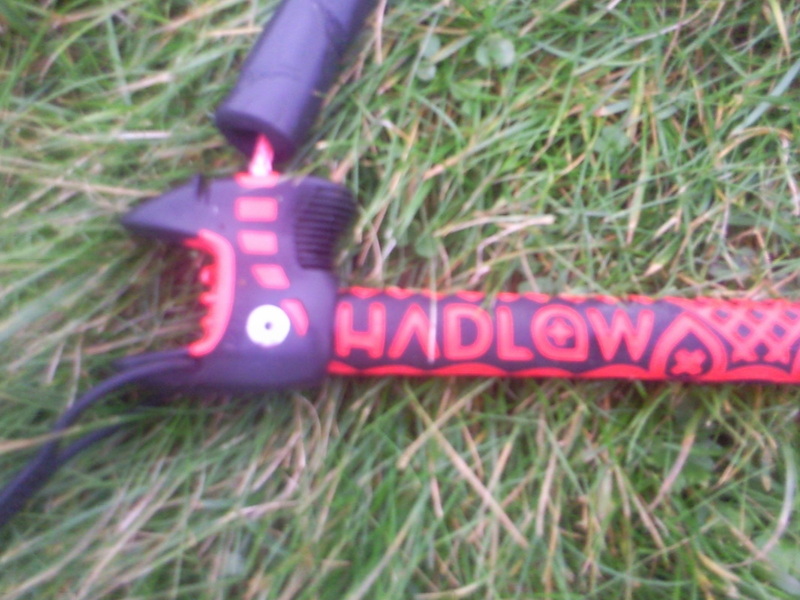 As someone who normally flies the Hadlow Pro, the tough construction of the Id looks very familiar - narrow leading edge with 4 thin struts and the standard Flexifoil one pump system (deflate valves both ends and centre, and a centrally located one-way inflation valve). There are Aramid reinforcements on the wingtips and corners, scuff guards covering each of the LE seams and robust lap seams across the whole kite. 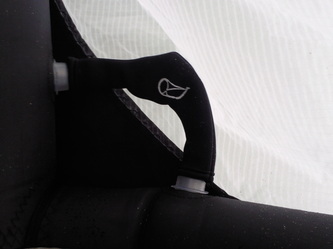 Unlike the Hadlow Pro, the ID uses a simple single pulley bridle for the front line connection, and there are two connection options which allow it to be tuned for strong or light-wind days. Once you have inflated the Id and taken a step back, its plain to see that its a stunner in the looks department - a real eye-catcher and definitely one of the best looking kites I've seen in a long time. The bar and lines are also very familiar - a narrow diameter bar with heavily embossed grip, a PU coated de-power line leading down to a large chicken loop with a simple but effective push-away release. 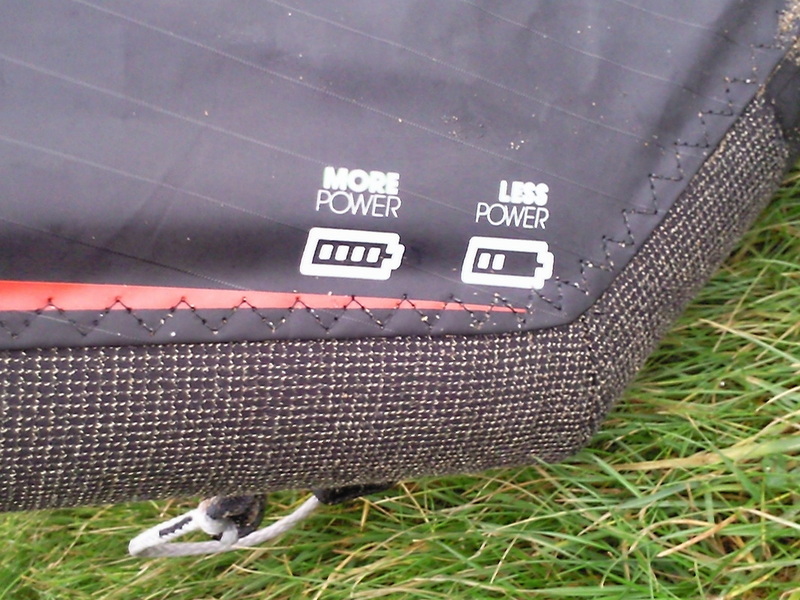 The sheeting system is a pull/pull webbing strap which is conveniently placed and has a velcro attachment for the de-power strap so it's always easily accessible. 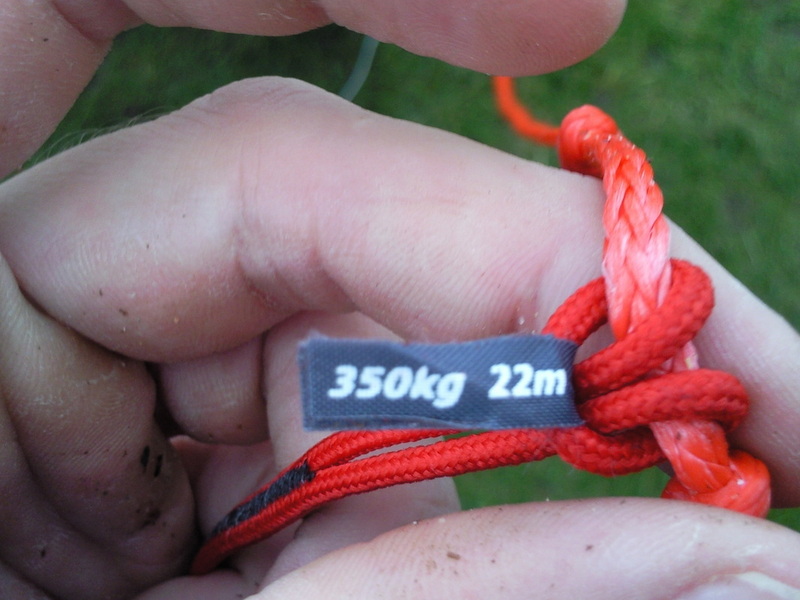 The flying lines are 23m (including leaders), Teflon coated and a real quality affair as they are rated at 350Kg. All in all the bar is simple but very well engineered with quality materials - it gives you the reassurance in your gear and gives you the confidence to push that bit harder! As the wind was only in the low teens on the first day, I opted to rig the ID on the high power setting and gave it a good fly on land before taking it onto the water. 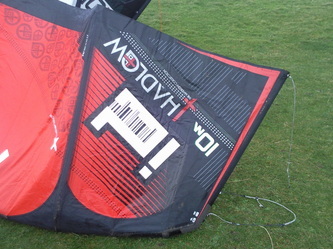 The bar pressure is medium heavy and the kite feedback is very good compared to similar kites in its class. The ID is very stable in the sky and is nice and responsive to turning - allowing it to be piloted with precision. It can be made to whip around in a fairly tight arc with little power when you are forceful with the bar, but to get real power out the turns it needs to be carved in a wider arc. The Id sits pretty far forward in the window, and cuts through the air with good speed. Once its moving it generates a great deal of additional lift, and It was able to generate some hefty pull despite the poor wind conditions. The wind was hovering around the 13mph mark, which is well below the stated minimum for the kite, but I thought I'd take my lightwind twintip out and see how it would cope - and was pleasantly surprised. 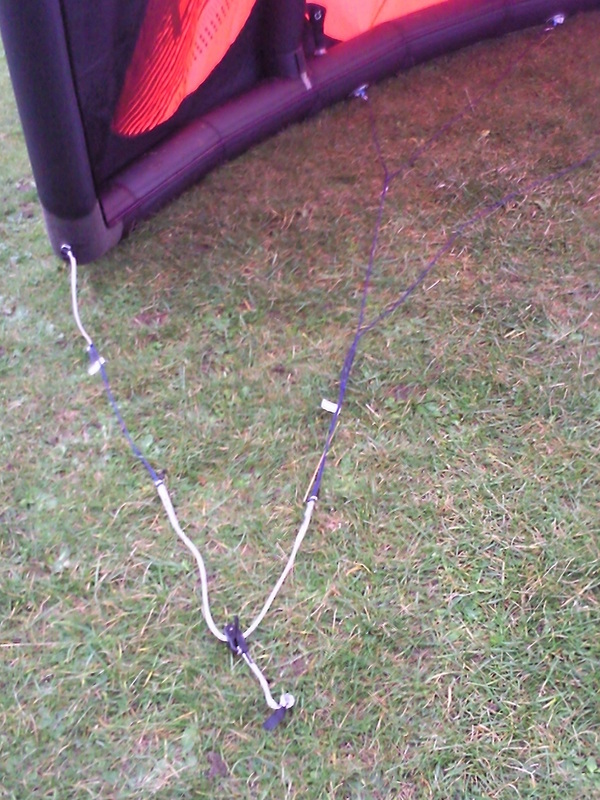 Once the ID gets moving through the air it efficiently generates more pull, giving it an excellent bottom end. It was impressive to be managing to stay upwind on a 10m kite in merely 13mph! 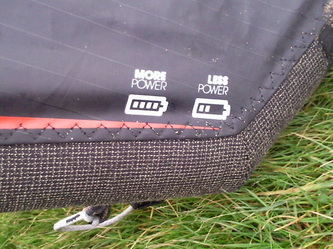 The wind picked up gradually, and was soon powering along on my regular TT. 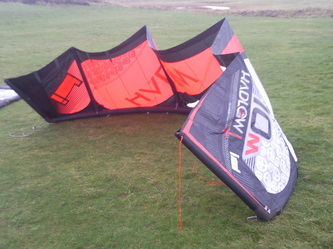 The stability of the ID continued to be very impressive, and it feels a very comfortable and easy kite to fly. The bar pressure is just right for freestyle and the Hadlow bar system keeps your arms semi straight to reduce fatigue and minimise the amount of trimming you need to do in order to switch between regular riding and unhooked freestyle. The Mini-Fifth line works very well, when you drop the bar it sheets the kite out, dumping most of the power and causing it to fly slowly down towards the water. It will often land close to the edge of the window, which makes relaunch a doddle; just tease the top line and it'll be flying again with no fuss whatsoever. Should it land downwind on its nose, relaunch is still straight-forward by a prolonged pull on the outer line - its pretty effective but can involve a bit of a wait sometimes. If you're in a hurry, sometimes it's best to roll it onto its back, and it'll flying again in no time from there. As far as boosting is concerned, the Id is great. When you send it, it generates a great deal of controllable power and effortless float, despite the wind conditions being far from ideal. Transitions were also nice and floaty, and are often a very good test of how the kite will perform when the wind is really blowing. It's a much easier kite to boost on than the Pro - it doesn't need to be sent as hard behind you, just send it, sheet in, and you're away! 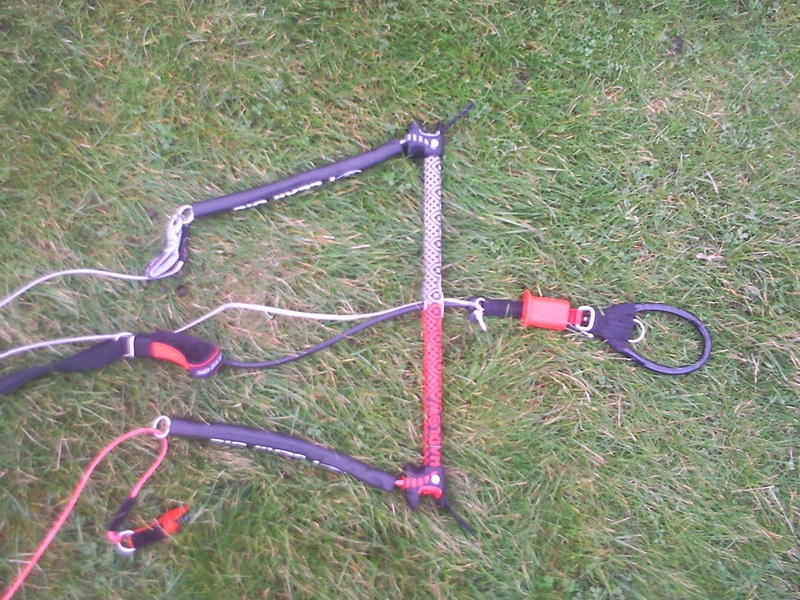 It's a nice kite to downloop for simple midair redirections, or for a graceful touchdown when falling from a height. As for unhooking, it comes as little surprise that the Id works like a dream, and has clearly been designed with this in mind. 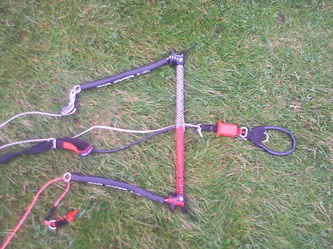 The bar setup means that no trimming is required compared to normal riding - just unhook and go. It produces predictable, explosive pop with excellent slack lining to make those handle-passes more easily attainable. This kite isn't just for the pro's, its equally suitable for first ever attempts at popping and raileys too. A masterstroke of design by Flexifoil, a great combination of high end performance, wind range, stability, feedback and ease of use. 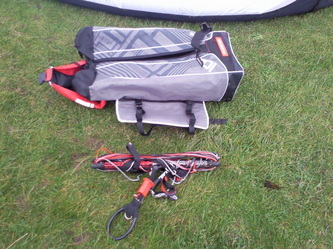 It performs so well in fact, it even overshadows some dedicated C kites. It's possibly a little fast for a beginner, and the bar pressure could perhaps put a dedicated free rider off, but despite that this kite will have a wide appeal. The Id is an ideal kite for any progressing intermediate freestyler, ranging all the way up to being a great choice for competitive riding - I wouldn't be at all surprised if they feature in the PKRA competitions next year.